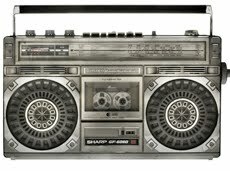 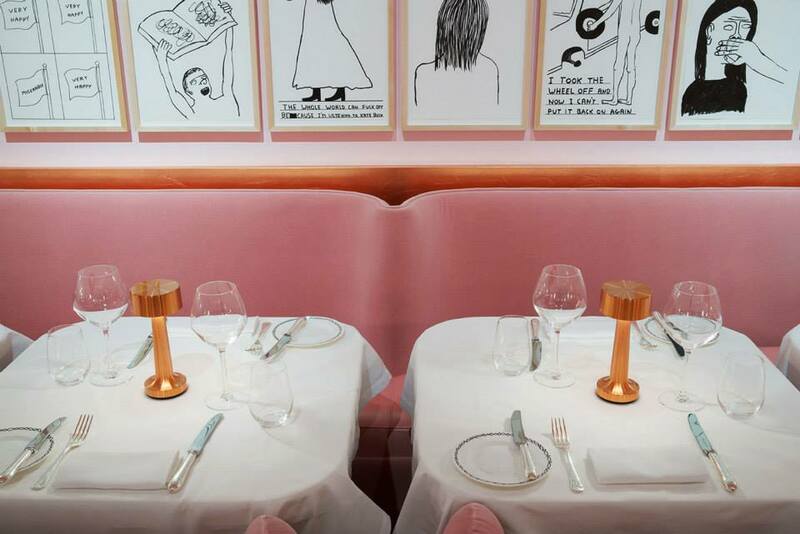 The Gallery at Sketch in London has re-opened its doors early this June. 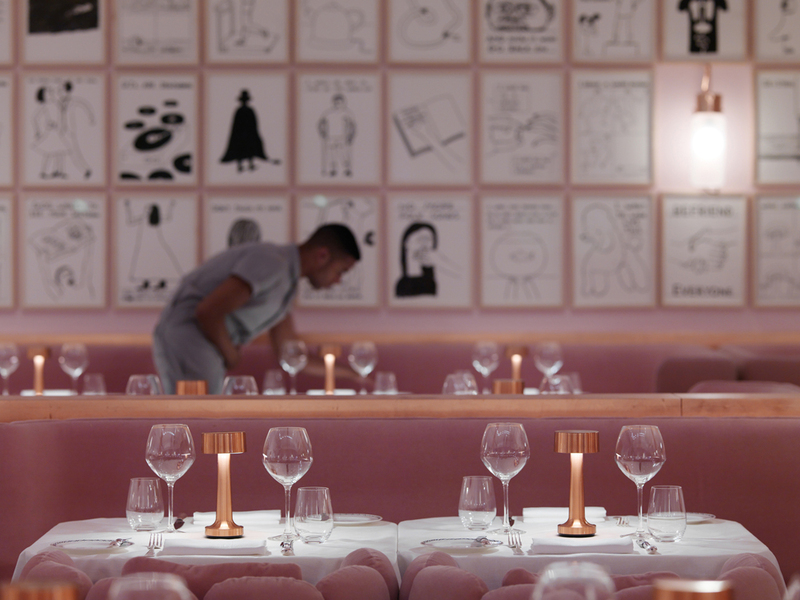 The restaurant now hosts an installation with new works by British artist and last year’s Turner Prize nominee David Shrigley. 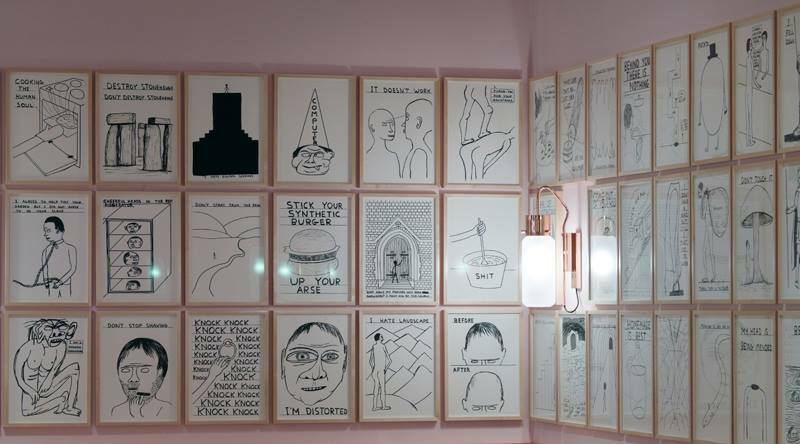 Paris-based architect and designer India Mahdavi was commissioned to create a new setting for David Shrigley’s witty artworks. 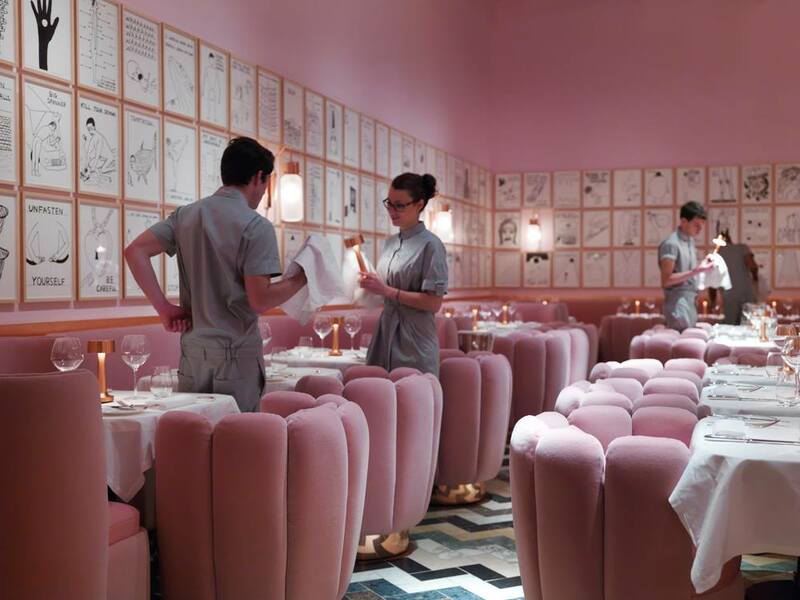 She conceived a soothing, monochromatic, strikingly comprehensive interior to give Shrigley’s drawings and ceramic tableware room to breathe. 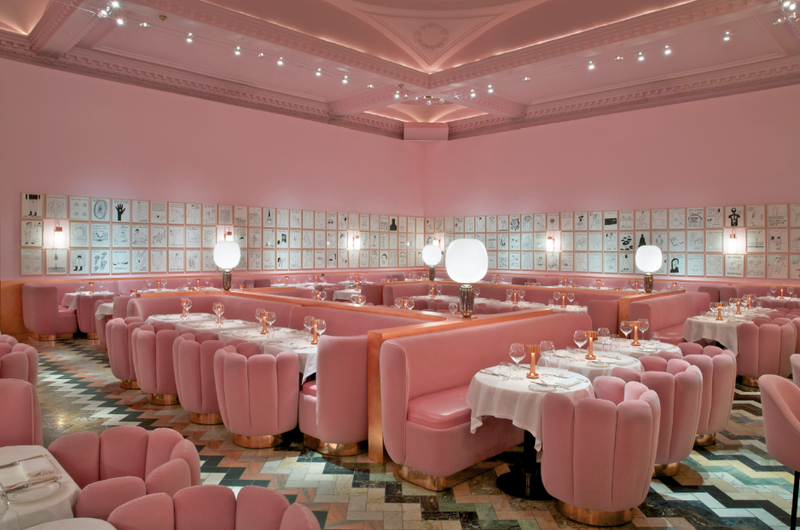 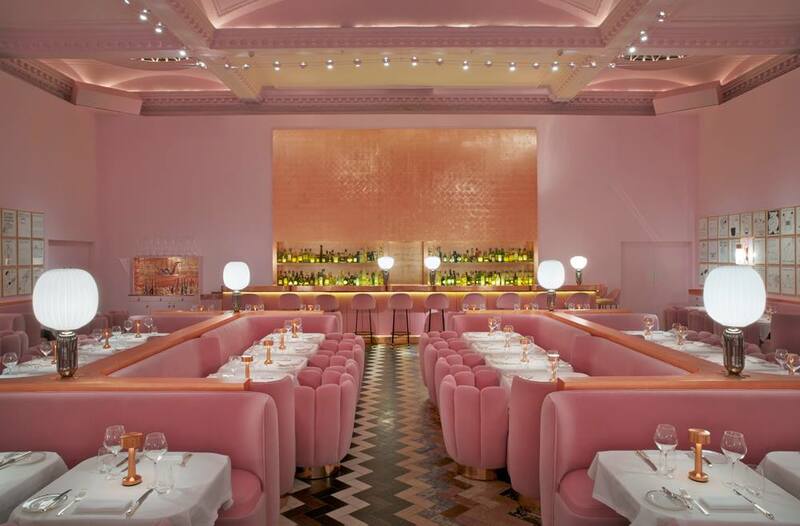 She updated the archetypal brasserie design with a very contemporary all-over Ladurée-esque powder pink on the walls and on the velvet-covered custom-made furniture. 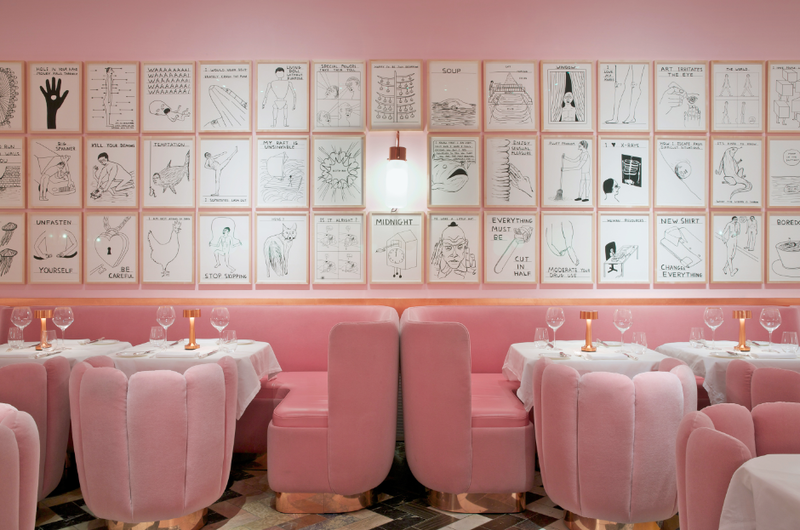 The classic, almost bourgeois design invites a deliberately playful contrast with the amusing, raw and outré 239 drawings lining the restaurant’s walls.